Data management and data governance impact our lives in a variety of ways. We must be concerned with how we store and process our data and be vigilant about how our data is used to support our business objectives. 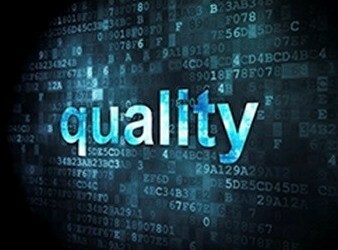 Data Issues – What is the impact of Poor Data Quality? You spend a lot of time and effort to maintain the quality of your data but in spite of your best efforts, problems crop up. For example, have you ever looked at an internal report only to see questionable items that makes you scratch your head? Or read it over again to try to make sense of what you’re seeing? Many possibilities exist, such as a simple anomaly or skewed or missing data. When that happens, not only is that one data element questioned, but the entire report (and any subsequent reports) now have credibility issues. As an example, a company recently installed a large ERP system. Most of the implementation worked great but they couldn’t produce late payment notices. It was discovered that some account numbers had been created with an alpha character (a carryover from the former system) and that was enough to throw off the program. Poor data management caused a great deal of labor to be expended to find the issues and correct them. Other examples of poor data management can be found in your everyday life. How many times have you received a direct mail advertisement for a product or service you already have? We all get insurance or credit cards offers from institutions that already have our business. Or, have you received offers addressed to prior homeowners, who moved over 13 years ago. How much does redundant and/or inaccurate data cost your company? Where are your Data Management Opportunities? Data that lacks completeness, integrity, accuracy, consistency and general overall quality can be costly in many ways. Labor is just one of them. Not having enough competent data can lead to unreliable reporting, unnecessary activity and poor decision making. So how do you achieve quality, competent data? Data management and data governance. Data management is the more tactical approach to determine if your data reliable, complete, validated, secure and timely. Data governance is defined by the DAMA Dictionary of Data Management as “The exercise of authority, control and shared decision making (planning, monitoring and enforcement) over the management of data assets.” Data governance is the discipline of data quality control. Together, the two contribute to the overall health of your data and its subsequent uses. While their implementation will require labor and a strong control system, you will be able to trust your data – and that’s priceless. In our next article, you begin to see how to make this a reality. In the meantime, whet your appetite for how data can be used by reading our MTS Case Study.